A mother's love is immeasurable and unconditional. Next to God's Love for us, our mother's care for her children is pure, strong, unselfish, devoted and everlasting. Even back when a child is still in her womb till the first time she carries her baby in her arms, her emotions towards her child is truly remarkable. Though there are times that we feel like our moms always contradict with what makes us happy, that doesn't mean that they don't love us anymore. It is actually their way of protecting us from things that they think would end up hurting us. She will do whatever it takes to keep us out of danger without us noticing their efforts. How a mother cares for her child and how she interacts with them will definitely have an impact on how that child becomes when he/she grows up. If the child feels that she is loved by her mother through her words and actions, surely that child would grow up full of love as well. Even with simple acts such as getting up in the middle of the night just to feed the baby or clean up his/her wet diaper will definitely make the baby feel that there is always someone there to care for his/her needs. A mother's patience is also something that is tested when caring for her child. A crying baby can really be very irritating both for the baby and the mother, especially during the first few months, because the mother is still unable to distinguish the baby's cry whether the baby is hungry, sleepy or has a wet diaper. Those few months can really be frustrating but because of the pure love that a mother has for her baby, her patience is strengthened. Indeed, a mother's love towards her baby is incomparable. And to help mothers in making their babies feel the love they deserve, Tupperware Brands created a line that is specially made for our precious babies. Introducing, the Baby Care Plus+ Milk products which consists of a baby bath, soap, lotion and powder that are carefully crafted for our baby's sensitive skin. It contains milk moisturizers to smoothen and nourish our baby's skin. The Baby Care Plus+ Milk Baby Bath gently cleanses and conditions baby’s sensitive skin and hair, while the Baby Soap has milk moisturizers and olive oil extracts that protect baby’s skin from dryness. Both the Bath and Soap contains a Lamesoft Skin Protector that helps form a natural barrier to prevent the loss of moisture while bathing. The Baby Lotion, on the other hand, has a light formulation, that locks in moisture for up to 24 hours, plus Vitamin E that nourishes baby’s skin, making it velvety smooth, soft, and smelling good all day long. The Baby Powder has Allantoin that works as an anti-irritant to soothe and protect baby while keeping him or her fresh and dry. 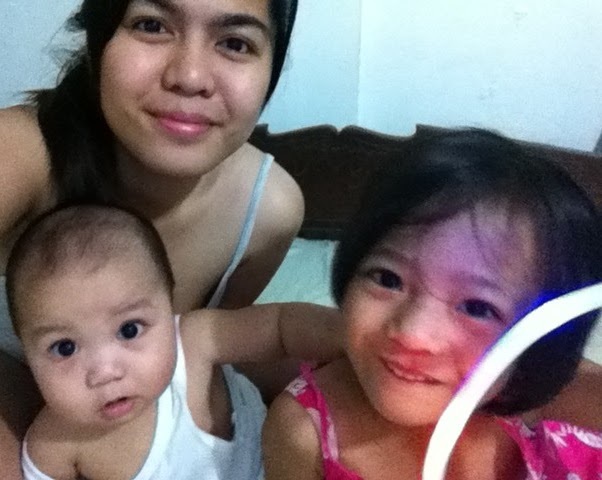 Being a mother is considered as one of the most difficult job known to man. It cannot be taught but must be learned through experience, you don't get paid monetarily, there are no vacation or sick leave and it can be very tiring. 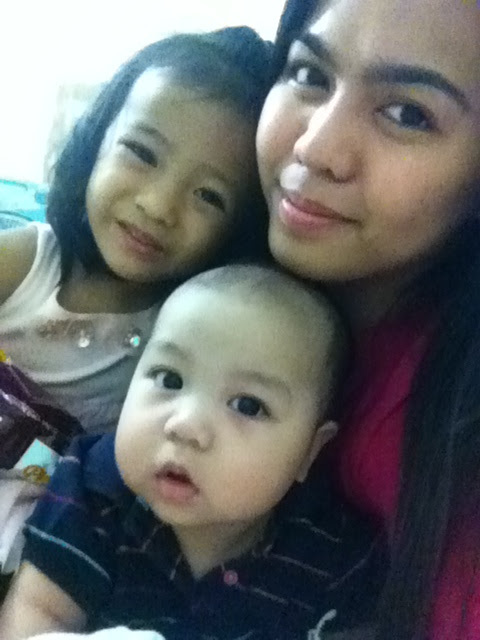 But with just a small smile from your baby can recharge a mom's energy. 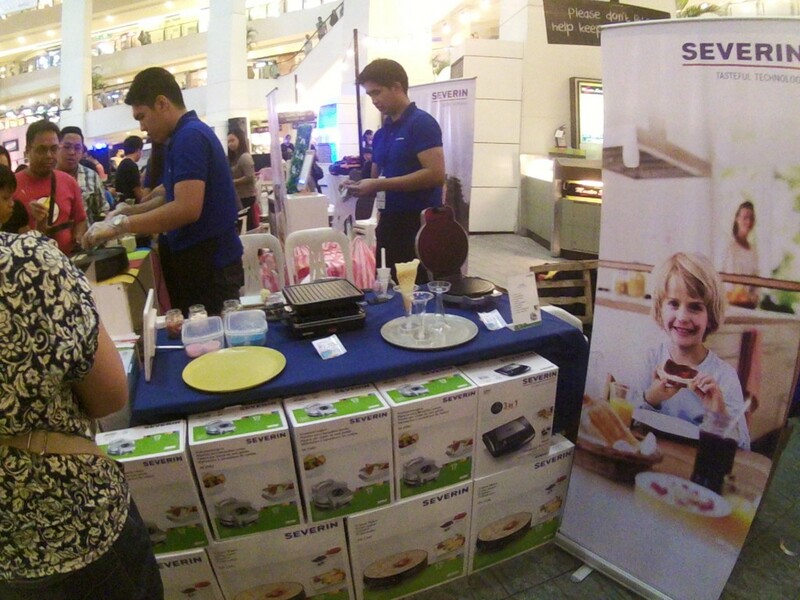 And through the help of Tupperware Brand's Baby Care Plus+ products, a mother's love just got even better. 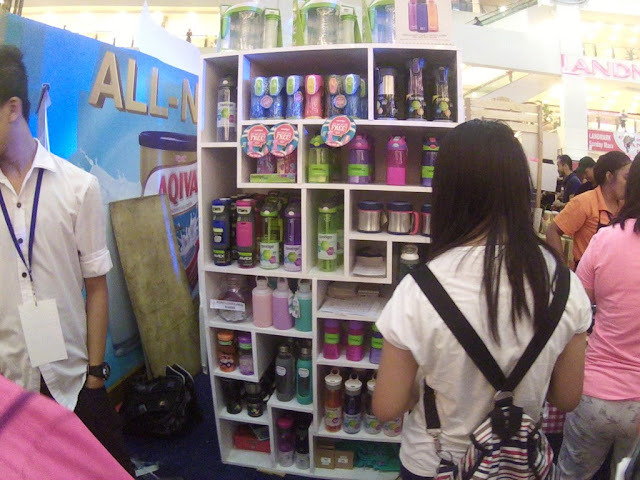 Tupperware Brands Philippines distributes well-loved brands including Tupperware, Baby Care Plus+, Kids Plus+, Colour Collection, Ivana and White Result. For your questions and inquiries on how to be a dealer, log on to their Website. 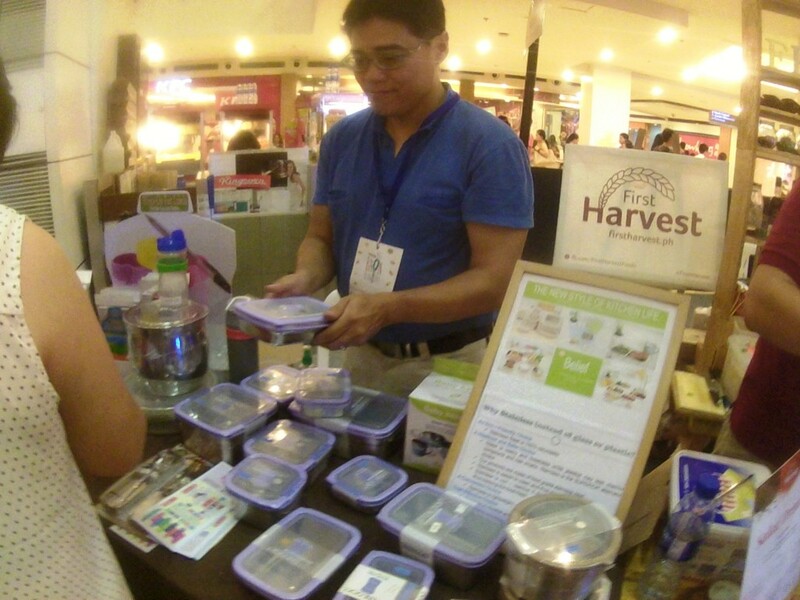 You can also email them at questions@Tupperware.ph or call the hotline number 867-2222. You can also visit them on their Facebook Page for more updates. After experiencing one of the greatest food events I have ever attended to, which is the Yummy Eats, another exciting and fun-filled event from Yummy Magazine was held last May 23, 2015. The First-Ever Yummy Big Baon Blowout was successfully launched last Saturday at the Trinoma Mall Activity Center. 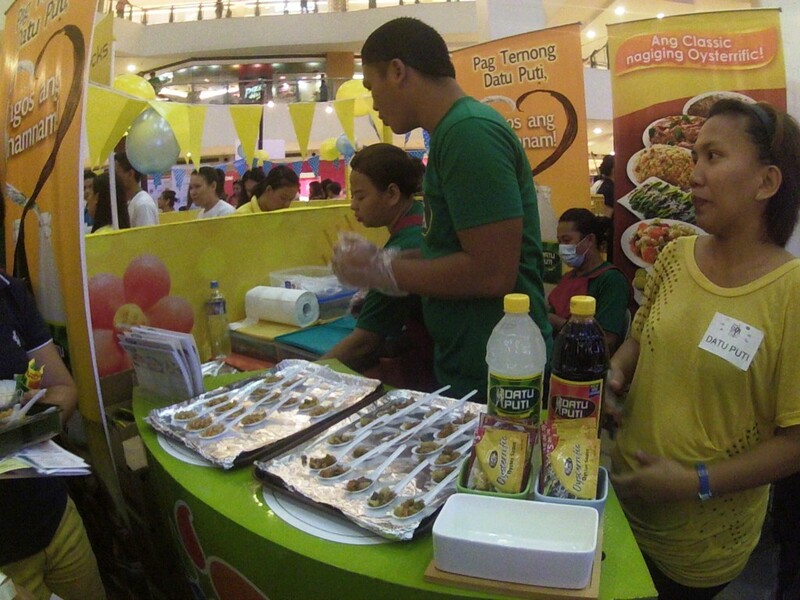 There we’re a lot of concessionaires present at the food fair which were personally handpicked by Yummy Magazine. Thanks to Mommy Bloggers Philippines, I was able to be part of such a tummy-filling event that caters not only for students and mommies but for all food lovers out there. 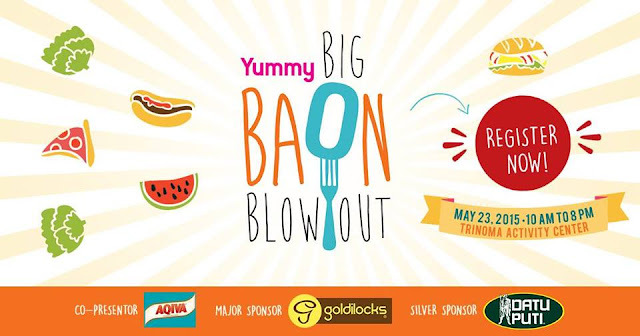 Tip: You must pre-register online for a hassle free entry to the event, which means, no need to fill up any forms prior to payment of P50.00 for adult and/or P100.00 for a group of 4 adults. Children below 3 ft. are free of charge. Upon registration, you will be given an event passport that contains a raffle and a “people’s choice award” coupon. They will also give you a container for all the free food that you’ll be trying out plus an alcohol to keep your hands clean. 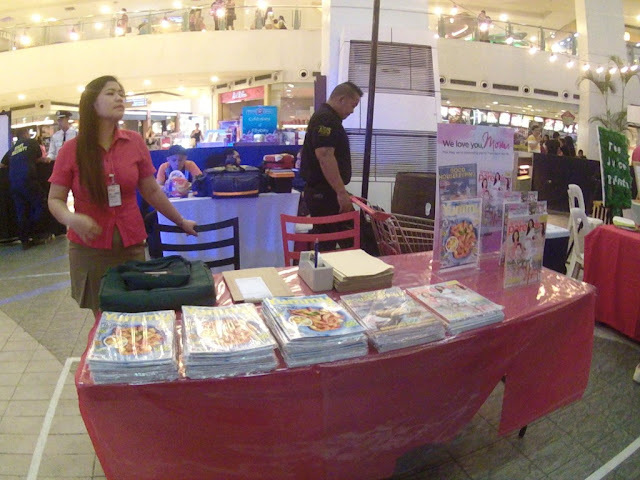 After joining the raffle, we started checking out the booths one by one. 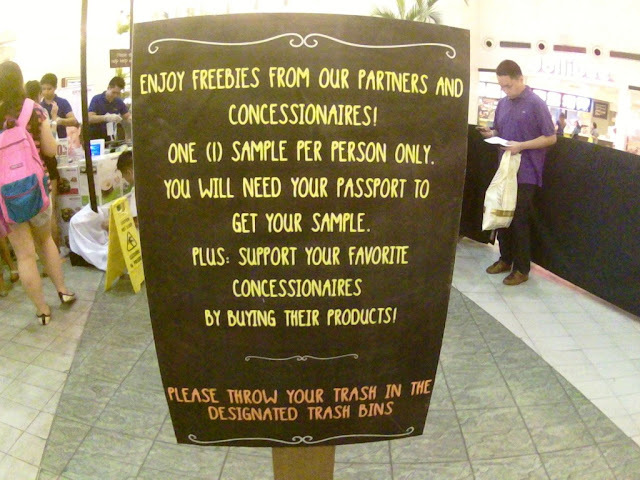 Every time you visit a booth, you need to show them your passport that they usually sign before claiming your food sample. 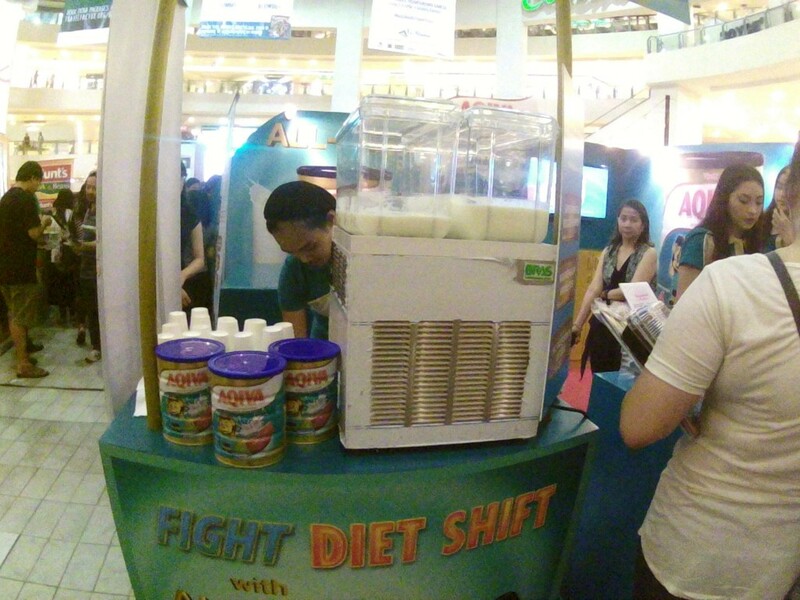 I wasn’t able to taste their milk since it was for kids but I got a freebie just by liking their Facebook page. Theo & Philo is a Filipino company that proudly sources its cacao locally, crafting flavor combinations that are uniquely Filipino. It is the country’s first bean to bar chocolate maker, advocating organic and fair trade practices that support scholarships and farming communities. More than just making darn good chocolate, Theo & Philo’s commitment is to make a difference in the world one bar at a time. (From Theo & Philo’s flyer). 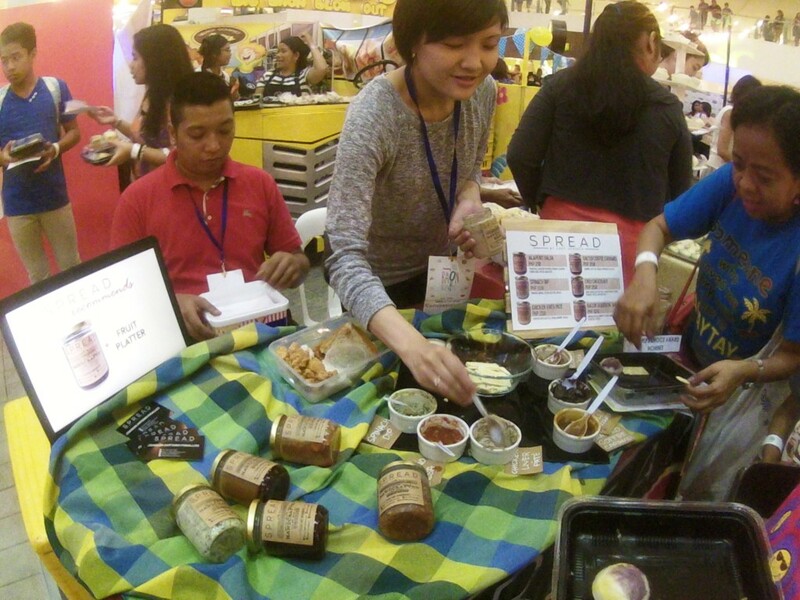 I was able to taste their Artisan Chocolate Spread with flavors Cashew & Pili and Crunchy Peanut. I loved the Crunchy Peanut which was not too sweet or too salty. Kids would definitely like this as well as I did. 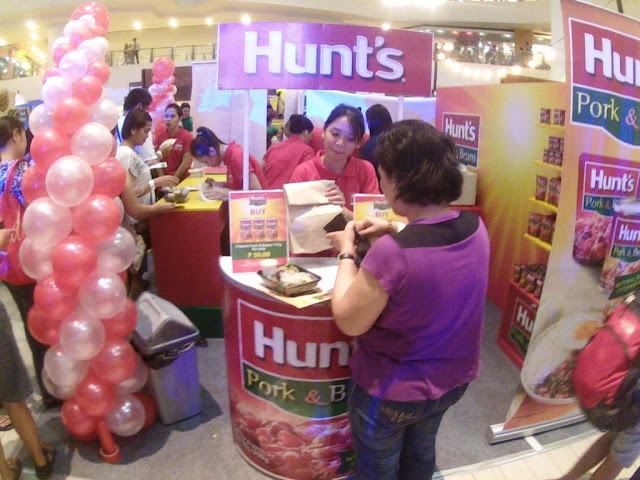 Their products are available at Bo’s Coffee, Connie’s Kitchen, ECHO Store, Enchanted Farm, Gourdo’s, Human Heart Nature and Team Manila. For more information, you can check their Website and follow them on Facebook, Twitter and Instagram. SEVERIN is a long-standing German brand with a strong sense of self. They manufacture and distribute high-quality electronic appliances for the home for over 60 years. They make life easier and bring a certain savoir-vivre to every household. SEVERIN is the uncomplicated brand for a performance-oriented generation who demand quality and design in the comfort of their own home. (From SEVERIN website) For more information, visit their Website or you can check out Colombo Merchant Philippines (Philippine distributor of SEVERIN). I enjoyed their sample of crepe made using a SEVERIN crepe maker. 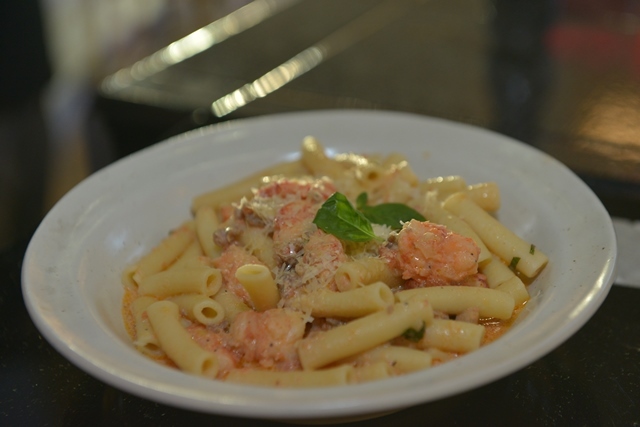 Casa San Luis specializes in made to order pastries and savoury dishes. 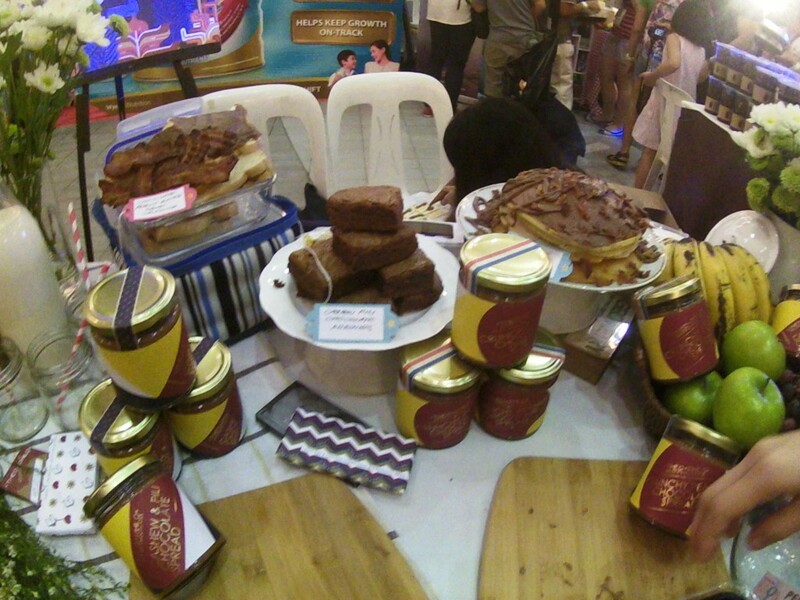 Their Best seller is the Dark Chocolate Mousse Cake and the Triple Chocolate Mousse cake with ChocNuts. They can also accommodate party giveaways upon request. (From Casa San Luis Website) For more information, you can check out their Website or like them on Facebook. They don’t have their cakes on display at the event, but instead, their sample for the day was their Granola Bars that are best eaten with milk or chocolate. Cookie Sticks introduces an interesting twist to the classic cookie that everyone loves. 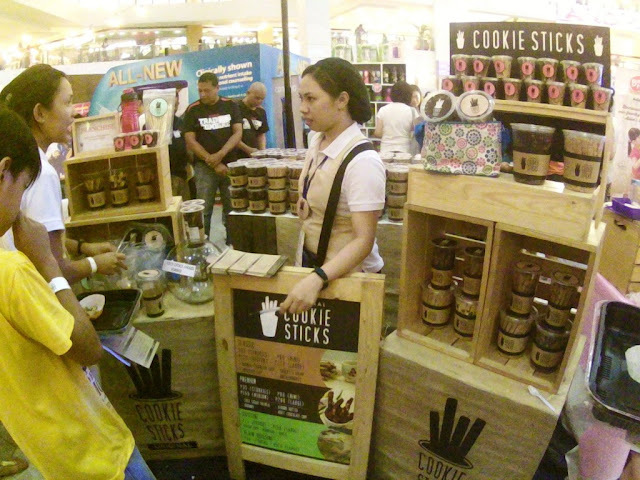 Instead of selling the cookie in a traditional flat and round shape, they sell cookies in stick form. Traditional cookie recipes sit alongside various flavours of Grissini sticks. (From Cookie Sticks Website) To know more about this one of a kind snack, visit their Website and follow them on Facebook, Twitter and Instagram. I was able to taste the Chocolate Chip cookie stick and I unexpectedly enjoyed it. 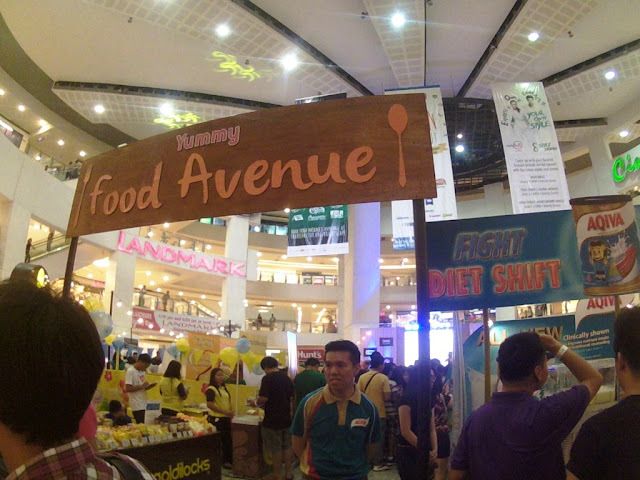 I always see their booth at Trinoma (2nd floor) during weekends but never tried it because I thought I wouldn’t like it. I’ll definitely grab some soon. 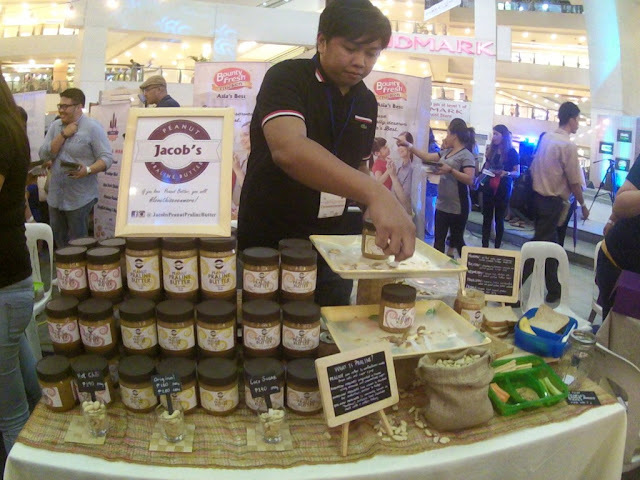 Jacob’s Peanut Praline Butter is the Philippines’, and probably the world’s very first Peanut Praline Butter. 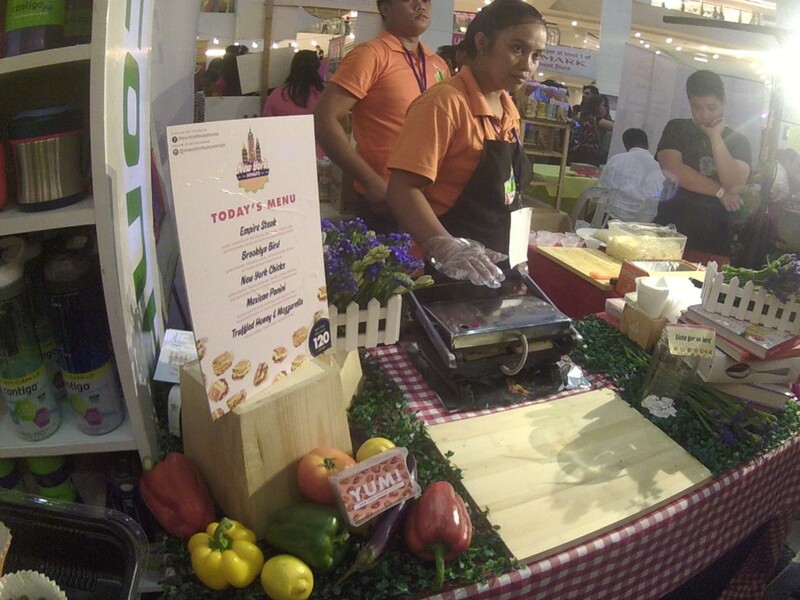 They had two samples: the Original Peanut Praline Butter that contains Peanut Praline, Sea Salt and Vanilla and the Peanut Praline Butter Hot Chili which has the same ingredients with the Original plus Cayenne. I wasn’t brave enough to try the hot version, but I really loved the Original that I thought was really addictive. For those interested, kindly check out their Facebook and Instagram. I have a confession to make. If Ms. Alyssa will be able to read this, I’m sorry I forgot to put the People’s Choice Award stub on your cookie jar. I SUPER LOVE your triple chocolate cookie! 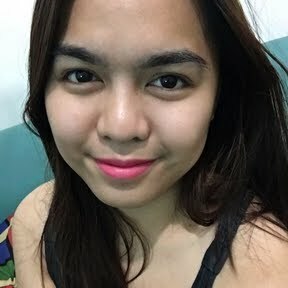 I can’t wait to taste that chewy chocolate cookie (with just the right sweetness) again. I recently found out that their Classic Chocolate Chip Cookies are now available at the Local Edition Coffee and Tea at Makati. For those who got addicted to ALY’s cookies, go grab some now. You can also follow them on Facebook and Instagram. 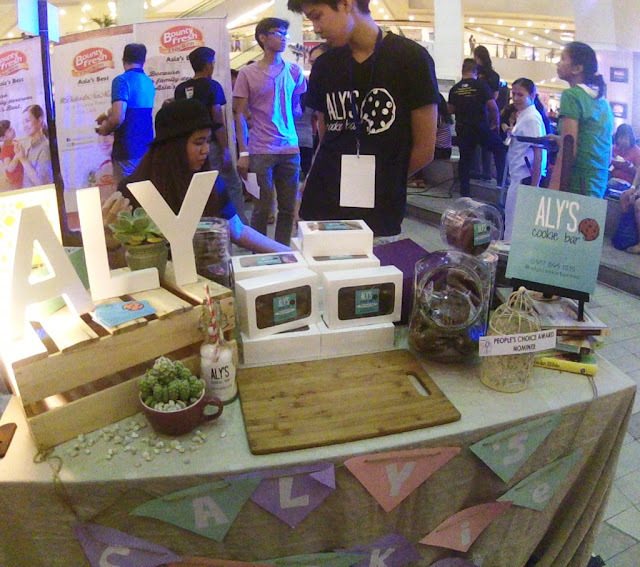 I would also like to congratulate ALY’s cookie bar for winning the People’s Choice Award! Well deserved! 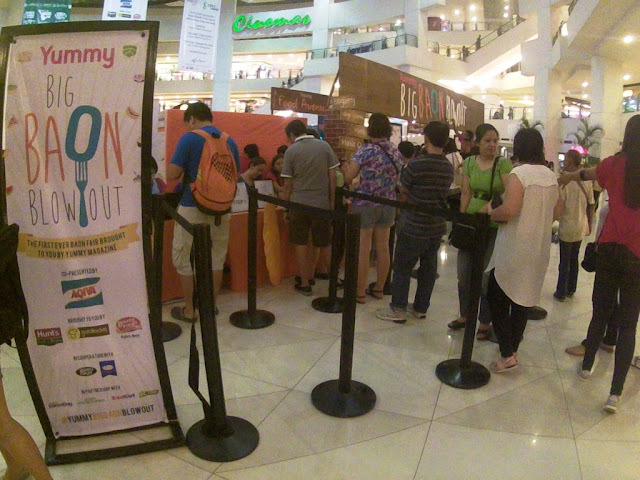 Longest line for a food sample at the Yummy Big Baon Blowout goes to the Bounty Fresh booth which is a major sponsor of this event. I was able to taste their Nuggets (which we usually have at home.lol) cooked on the spot for all attendees. This is definitely for the kids especially their packaging that are very inviting for the girls (Disney Princess) and boys (Disney Cars and Spiderman). 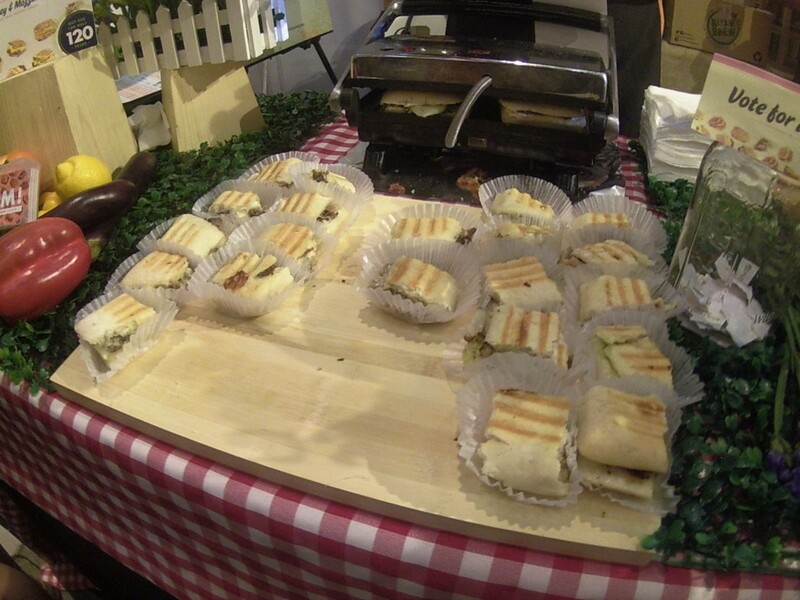 Owned by Ms. Maxene, New York Minute Paninis serve freshly pressed gourmet paninis that are available in different flavors that are creatively named such as the HAMtons, the new york CHICKS, empire STEAK, etc. I was able to taste their empire steak which was really good. I love how juicy the steak was with a generous amount of melted cheese. Indeed, it is YUMmy! For more information, check out their Facebook Page. 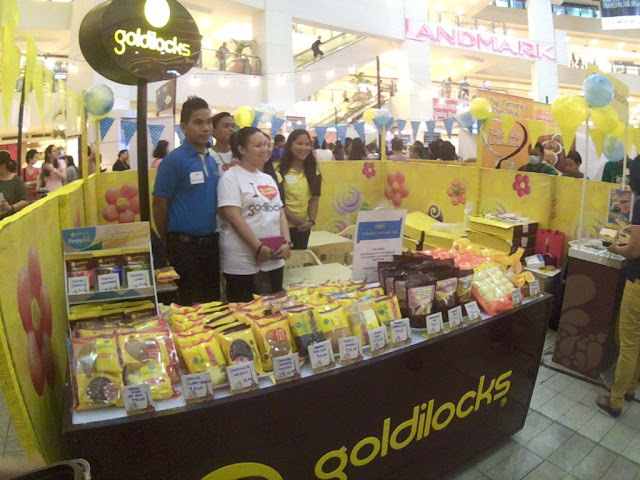 Goldilocks was one of the major sponsors of Yummy Big Baon Blowout and they were sampling their new product called Brownie Crisp with Chocolate Chips. I was able to taste it and I must say that it was addictive. It has the right sweetness with bits of chocolate chips. Kids will definitely munch on this snack anytime. 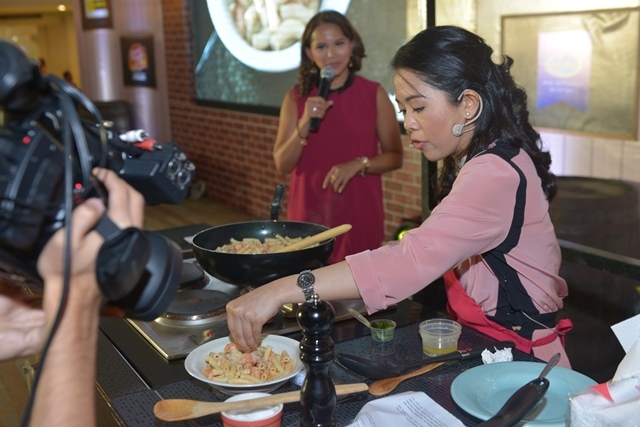 They also gave out the recipe on how to make the chopsuey and rice plus three types of Adobo dishes which are the Pininyahang Adobo, Adobong Manok sa Gata and Chinese Style Adobong Liempo. 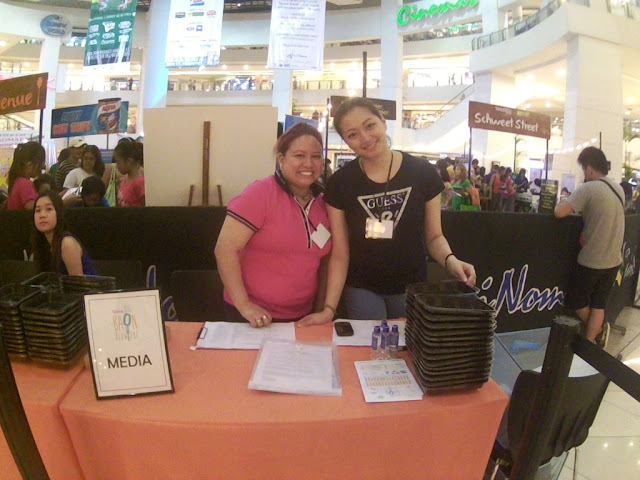 Lady’s Choice was also present at the event as a sponsor. 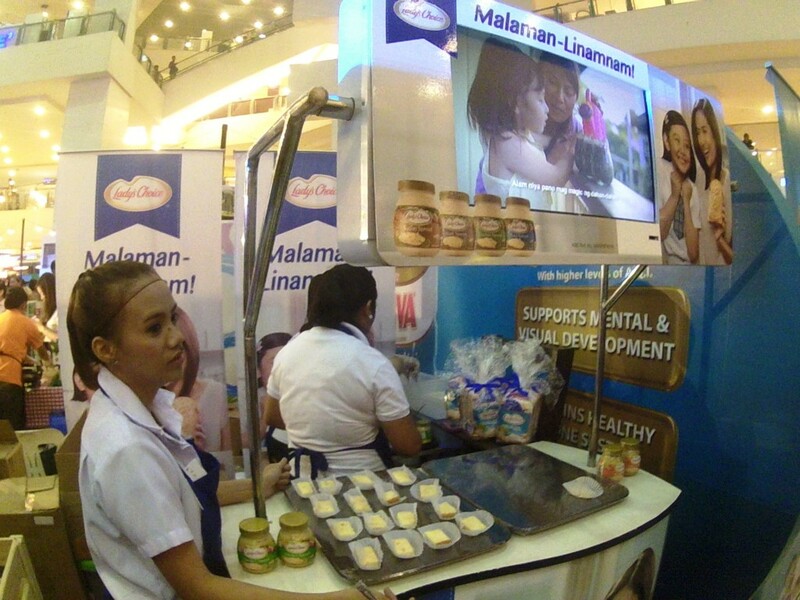 Not really a fan of mayonnaise so I also passed on tasting their sample which was bread with their chicken spread. Miradips create amazingly yummy and versatile dips that are not only used as spreads or dips but also as pasta sauce and even in quesadillas. 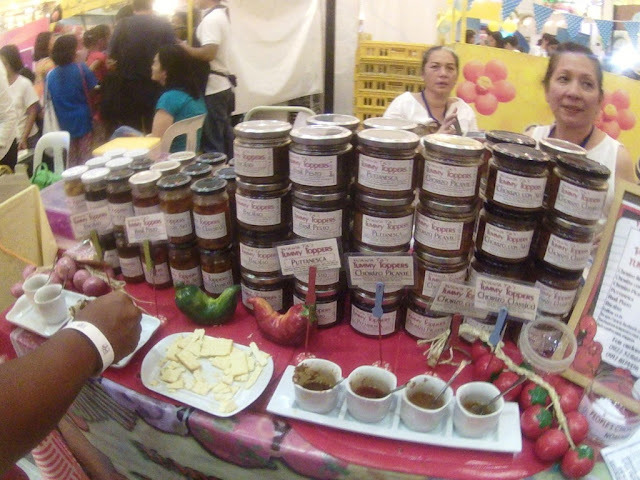 Their dips are available in unusual yet delicious flavors such as pesto pate, cheese pimiento, sundried tomato cream cheese, bacon caramel cream cheese and strawberries and cream. It was nice of them to give out recipes on how to use their dips in pastas and in quesadillas which I will definitely try next time. 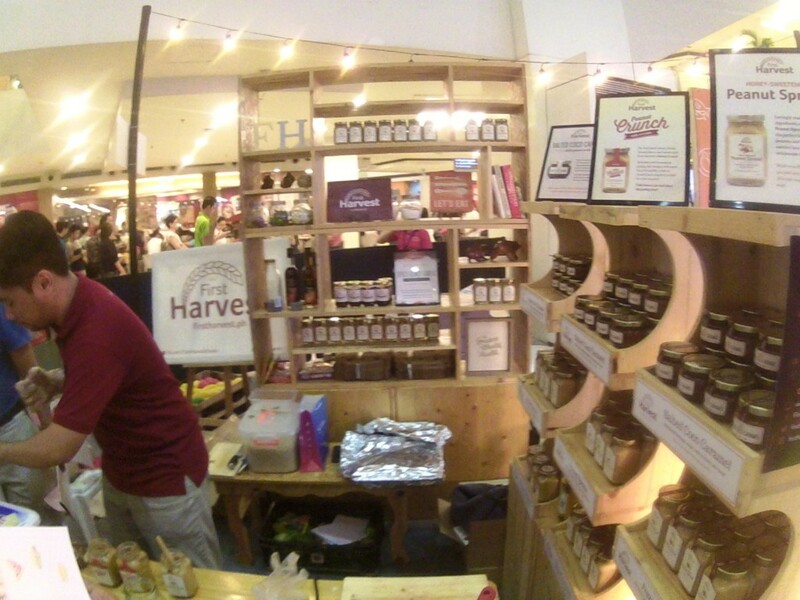 I was able to taste their sundried tomato cream cheese which was one of the best dips I’ve ever tried. ^^ I’m sure you’ll love it too. 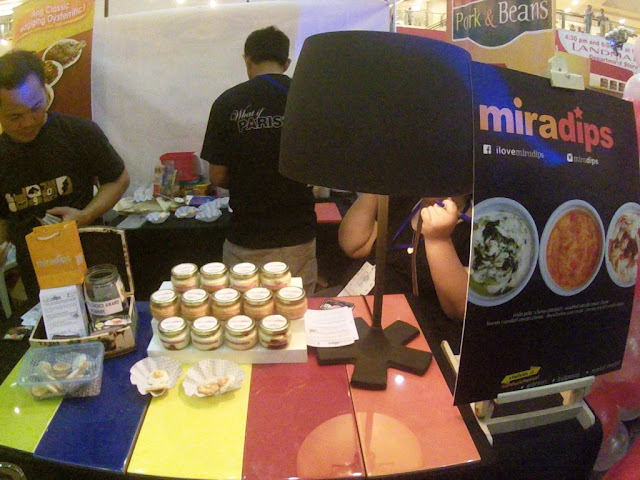 You can get your Miradips at Sandwicheese Katipunan, Gateway and Market Market. For more information, check out their Facebook Page and Instagram. I was able to taste the Bayani Brew Classic which is a combination of lemon grass and pandan, it was refreshing but I’m not a fan of lemon grass so I guess this drink is not for me. But you guys can try this out because Bayani Brew is now available nationwide. 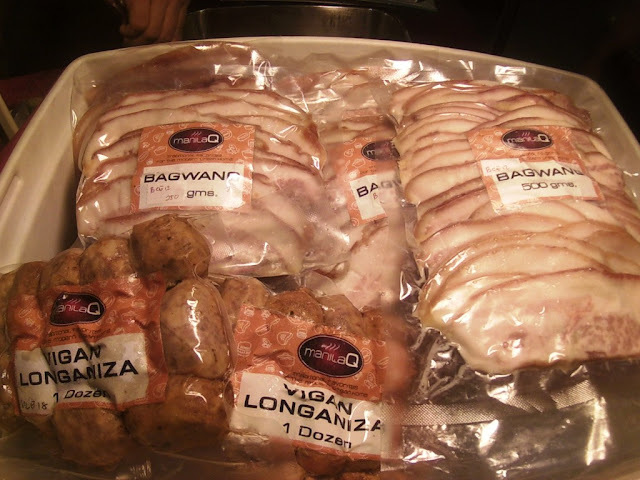 Check out the list of outlets at Bayani Brew Website and you can also follow them on Facebook and Twitter. Hunt’s Pork & Beans which was a major sponsor of the event sampled their take on Arroz Ala Cubana. They also gave out the recipe for their sample. I liked how the pork and beans made the ground meat a bit sweet plus the fried banana tasted okay. It would’ve been better if it was still a bit warm. One of their best sellers was the Bagwang which I was able to taste at the event. I loved it! 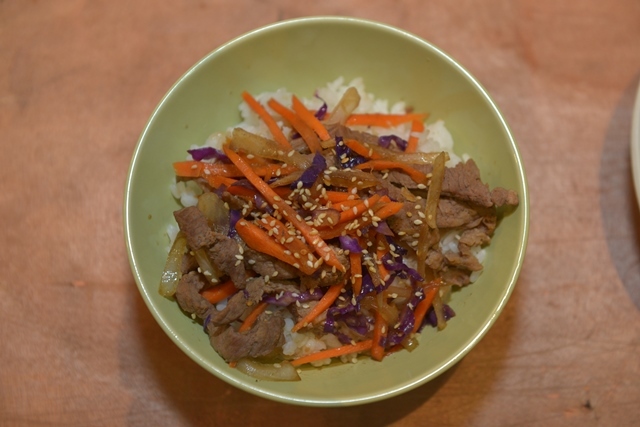 It was crispy and not too salty nor too oily. 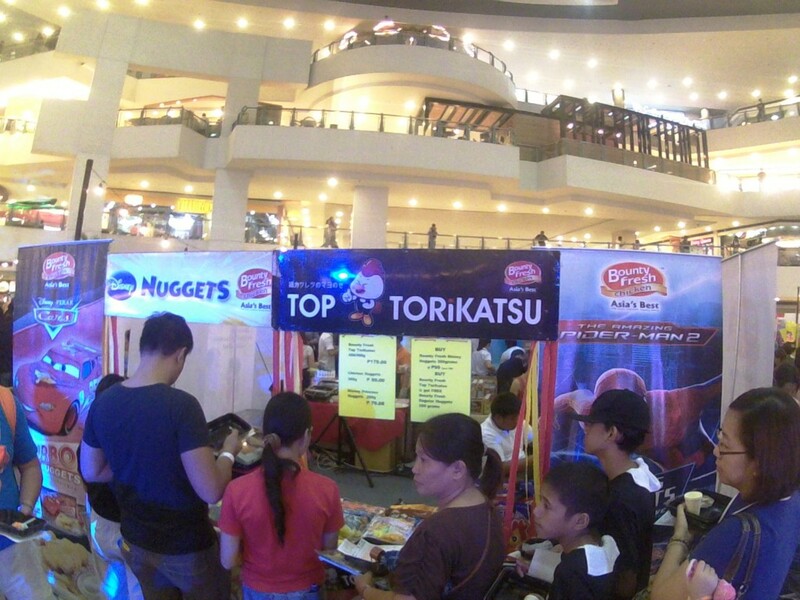 It really is a great baon for the kids and adults. ^^ You can taste more of their best sellers at their restaurant located at 129 Bansalangin St. Project 7, QC or you can place your order at their Website or their Facebook Page. If you love Puto and you’re tired of the same old plain flavor, you have to try Puto Pao King that has 11 yummy flavors that you get to choose from such as Dark chocolate, Blueberry Cream cheese, Dulce de Leche and a lot more. 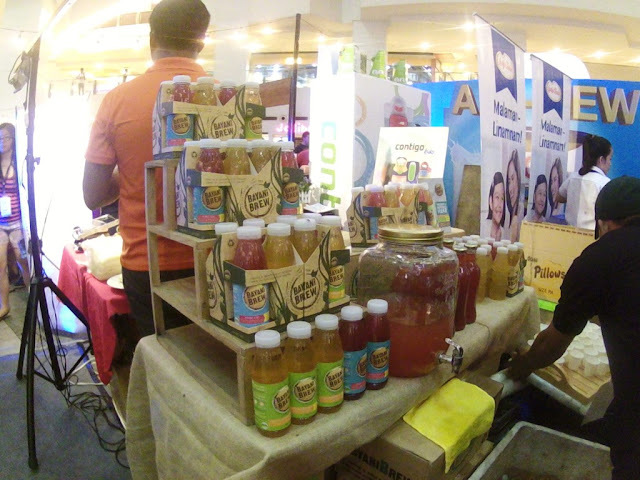 If you want to taste these new flavors of Puto, you can check out their branches at SM Megamall, SM Fairview and Legaspi Sunday Market. You can also follow them on Facebook and Instagram for more information. If you’re into gourmet spreads handcrafted to perfection from choice ingredients, SPREAD by Chef Joaquin would be perfect for you. I love how they recommend each spread to a certain snack like for pretzels; it would be best paired with their Jalapeno Salsa. For Original Glazed Doughnuts, their Bacon Bourbon Jam would fit perfectly. I was able to try their Chili Chocolate + Salted Coffee Caramel that definitely complemented with each other. For more information, check out their Facebook and Instagram. 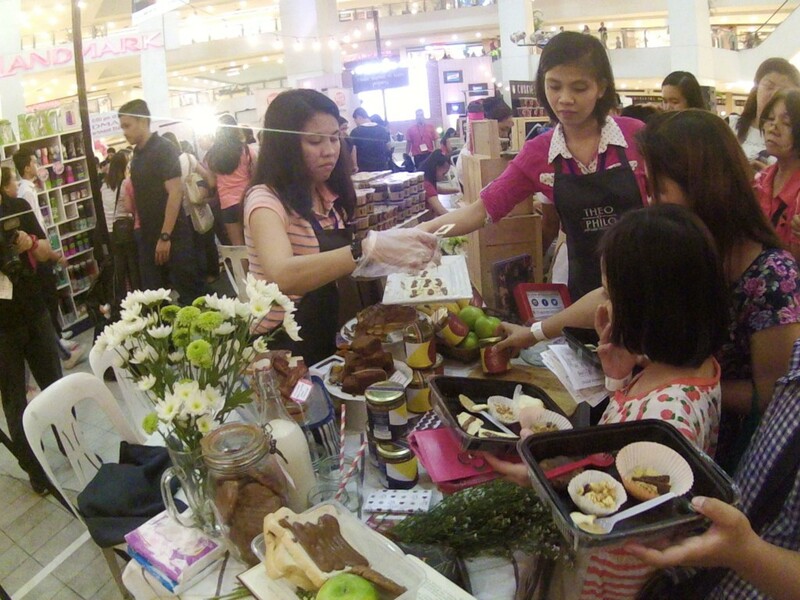 Their products are spreads, dips and sauces and I got to try their Salted Coco Caramel with Sesame Seeds at the event. At first, I thought that since it’s a coco jam, it would be too sweet for my liking, but to my surprise, it had the right sweetness. I liked it a lot! I would also like to congratulate First Harvest for winning the Editor’s Choice Award For more information, you can check their Website and Facebook Page. 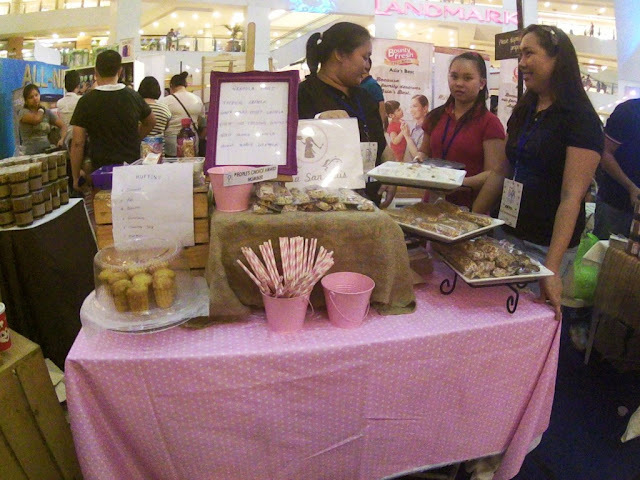 They regularly join the Legaspi Sunday Market, so if you want to sample their products, you may visit them there or you can order thru their Facebook Page and Twitter. 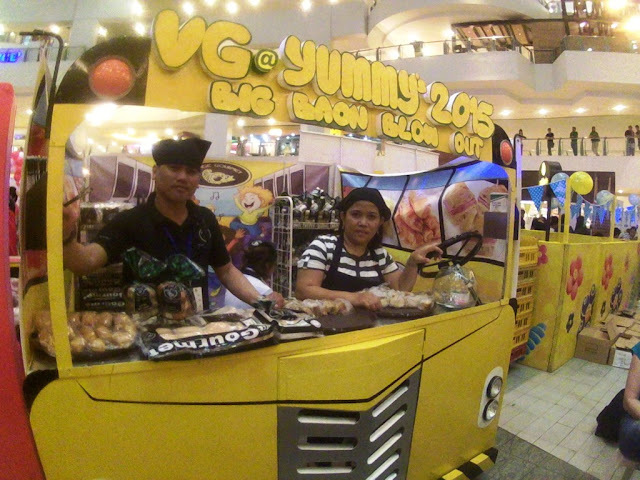 Village Gourmet offers authentic gourmet breads not found in ordinary bakeries. Using international procedures and processes, their products pass strict quality control after intensive research and development. 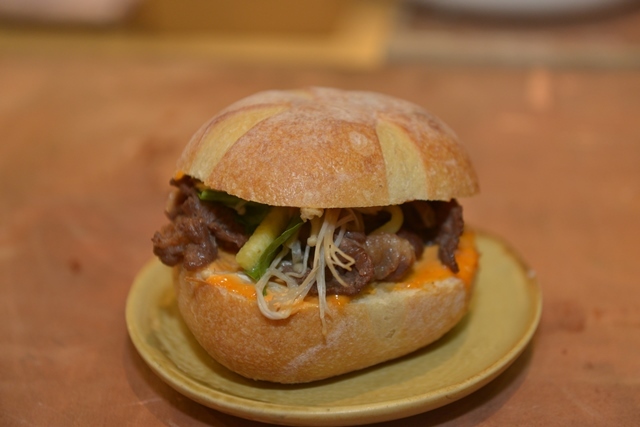 (From Village Gourmet website). 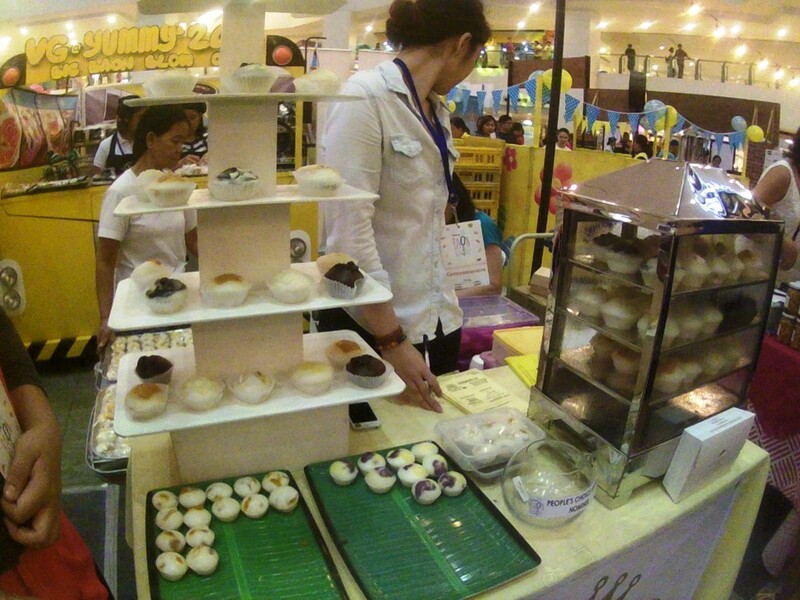 To know more about Village Gourmet, visit their Website and Facebook Page. 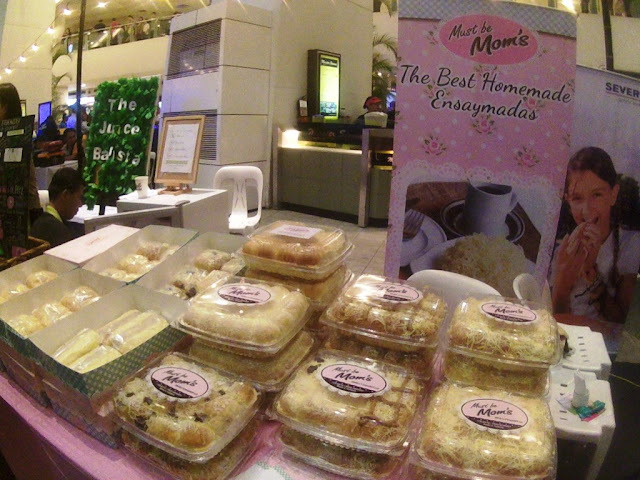 Must be Moms is a mother and daughter business that specializes in home-baked pastries. Their best seller is their freshly-baked ensaymada that I was able to taste at the event. It was soft and toppings were delicious. Check out their Website and Facebook Page to know where you can buy their products. 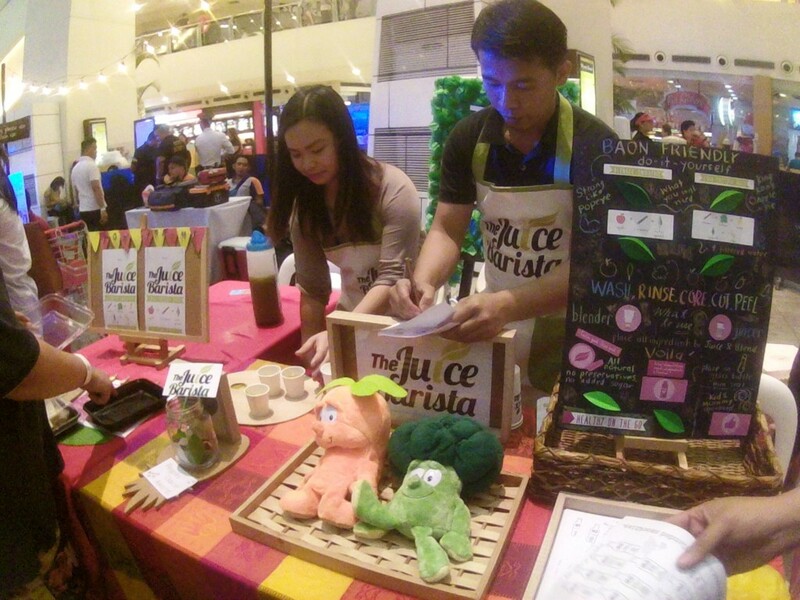 The Juice Barista was founded by two friends who are health conscious and who believe that juice cleaning can help lose weight. They have blended smoothies and cold pressed juices that have different flavors. We were lucky enough to taste their Strong like Popeye Smoothie (Lettuce, Mango, Spinach, Saba, and Cinnamon) and the King Kong Apple Pie Juice (Apple, Water Spinach, and Cinnamon). At first, I was hesitant to try the smoothie because of its thick consistency but after tasting it, I must say that you won’t taste any trace of vegetable. It’s just a bit bland. I love the cold pressed juice more which had the right sweetness because of the apple flavor. If you want to try out their products, visit their Website and follow them on Facebook, Instagram and Twitter. 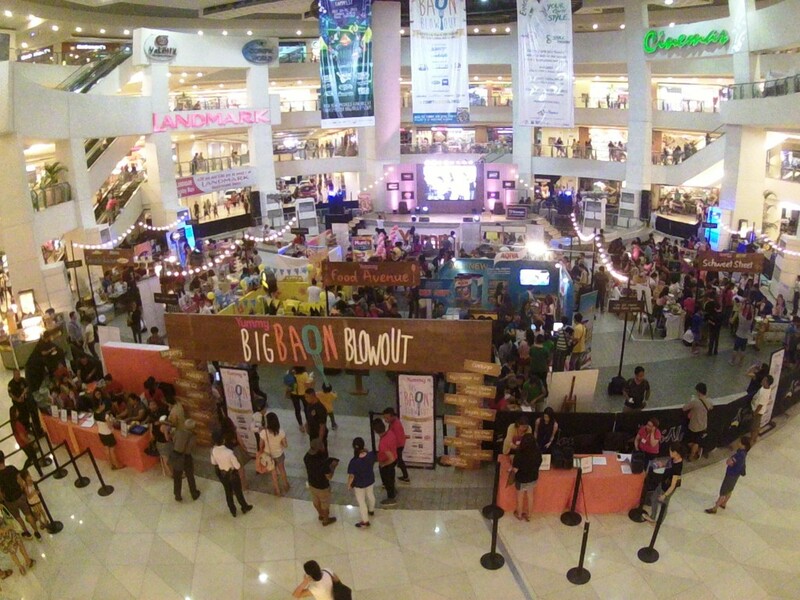 Food sampling is not the only activity that we experienced at the Big Baon Blowout. 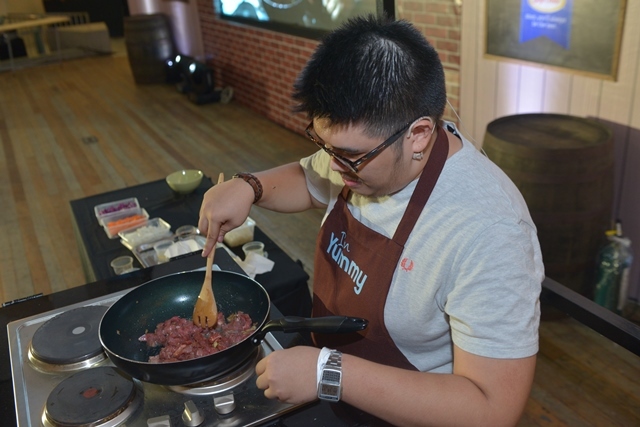 There were also cooking demonstrations and food preparations that we attended to during the event. There were guest chefs and food experts present to share their knowledge and tips on making delicious baon for the kids and kids at heart. 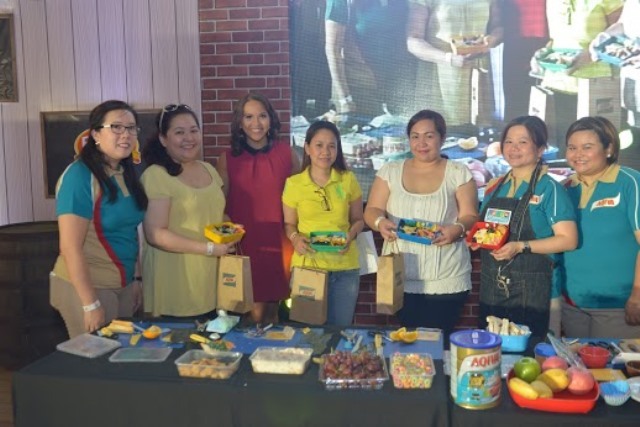 Smart Parenting contributing writer, Michelle Aventajado and Good Housekeeping Food Editor, Roselle Miranda, also shared great recipes to all attendees. Truly it was such a fun and tummy-filling event. 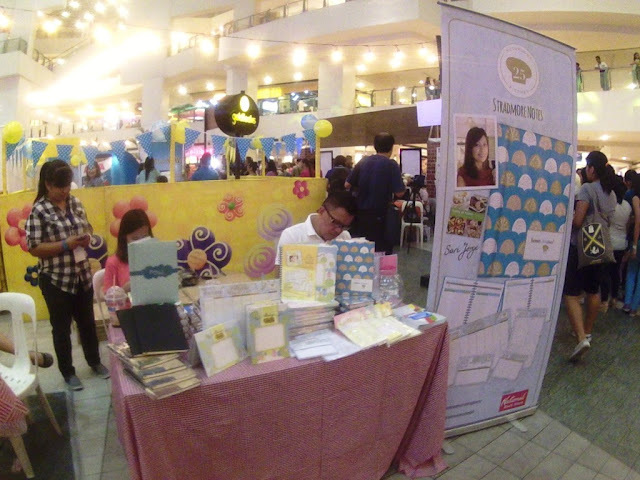 I would like to congratulate Yummy Magazine for another successful event! I can’t wait to attend the next Big Baon Blowout soon. 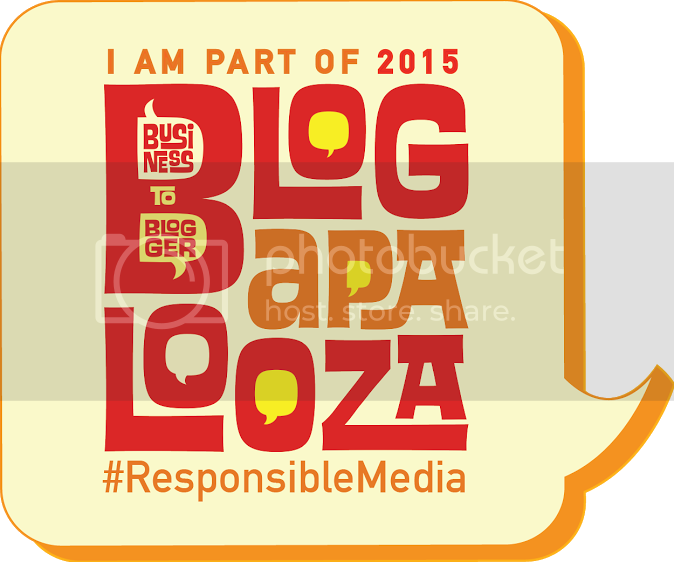 Again, I would like to thank Mommy Bloggers Philippines and Summit Media for the opportunity. 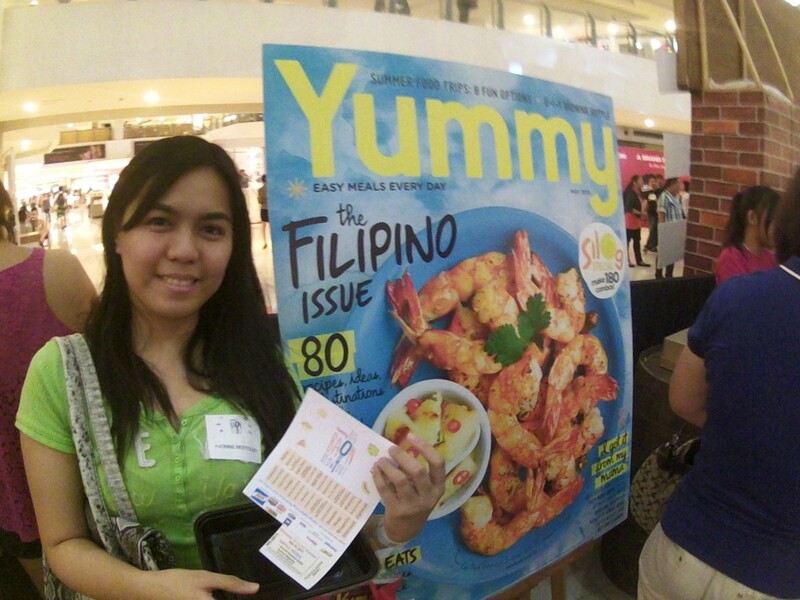 For more information about Yummy Magazine, visit their Website and follow them on Facebook, Instagram and Twitter.